I’m a ‘baller, a trackballer. Yes, I’m one of those people. My colleagues hate it. The director teases me about being a massive geek for using one. I love it. The one thing that many trackballs seem to lack is useful scroll wheel or scroll wheel-like alternative. 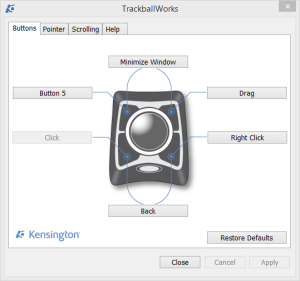 I have been using the Kensington Orbit w/ Scroll Ring and Expert Mouse and both of those have a decent scrolling mechanism (the “scroll ring” around the ball) but I wanted to explore the options available to ‘ballers on MS Windows whom do not have a (good) scroll mechanism on their device. 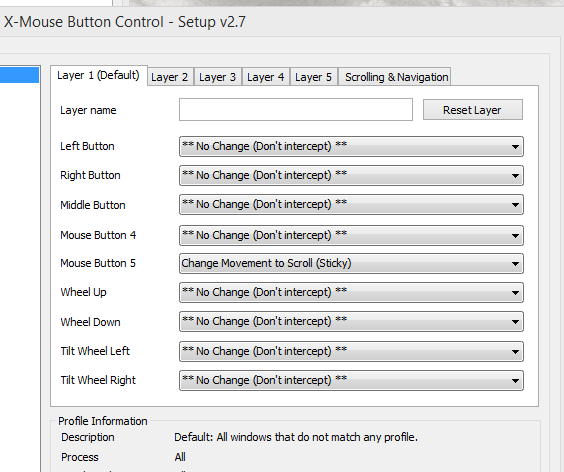 Enter X-Mouse Button Control. Among the multitude of features and options that it provides, just a single option is necessary to enable an interesting scrolling alternative: “Change Movement to Scroll”. 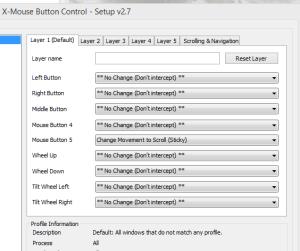 For my Kensington devices, I can configure pressing one or a combination of two physical buttons to send a mouse button event and then use X-Mouse Button Control to capture that event and map it to a sticky modifier for changing pointer device movement to scrolling. For non-kensington devices, use the driver/software bundled with the device to map the physical button to the desired button event. 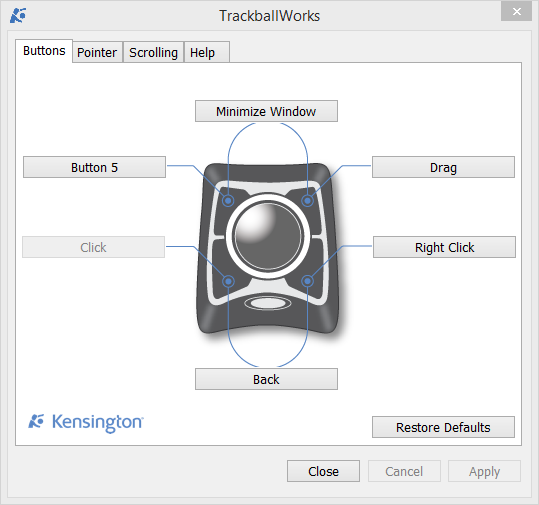 Now, when I press the top left button once, my trackball motion becomes a scrolling action and when I press it again, it switches back.